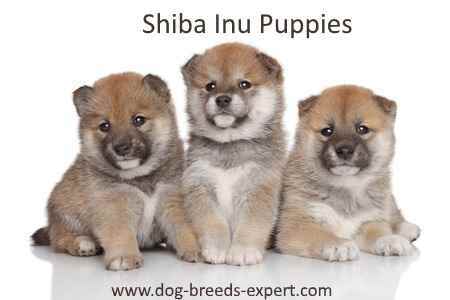 The Shiba Inu is a compact breed of loyal, determined, and alert dogs. These dogs are well known for their intelligence and are considered one of the most popular breeds in Japan. These companions have energetic personalities but do not come across as being overly hyper or boisterous and can be exceptionally quiet and calm indoors. The Shiba Inu is not recommended for families with very small children. They may be just a bit too much for toddlers, but may do well with older, respectful children. The Shiba Inu is also an inhospitable breed. They prefer to be with their owners, and even then they are independent. These dogs look at strangers as threats, as they are infamously territorial. These dogs should always have a solid enclosure when outside and owners recommend using a leash when walking them. The Shiba Inu is also not very fond of sharing the home with other pets. They are particularly unfriendly with other dogs and are notoriously not well suited living with them. Smaller pets are often looked at as prey, and with the breed’s mouthy personality, they are put in danger as well. Shibas can tolerate other pets through early socialization and training though it’s not an easy task. 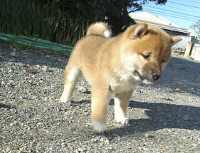 The Shiba Inu’s small size and reserved personality may be suitable for apartment living. However, with their tendency to vocalize, they may not be the best choice for those living in high population density areas. Giving the dog more things to bark at will stress it out as well as everyone nearby. It’s best to be prepared this alert yapping when getting this dog. Some barking can be minimized through early and ongoing training. The Shiba Inu’s independent personality makes it tolerant of spending prolonged periods of time alone so they may be a good choice for those who work long hours. They’re not likely to get into any more bad behavior than they would with their owners around, and are ideal for people who are not home for large portions of the day. We're talking about adult Shiba Inu dogs. 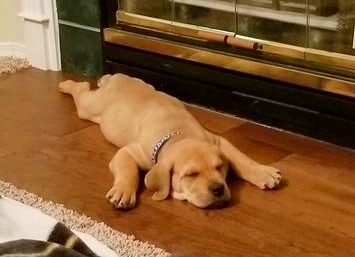 Puppies are an entirely different matter. These dogs are also tolerant of heat and cold, with their puffy coats acting like a natural insulation for temperature extremes. This breed is well known for getting a taste of its surroundings. Quite literally, the Shiba Inu likes to put its mouth on things, particularly its owners. This is typical of the dog’s personality and makes having guests over a bit difficult. 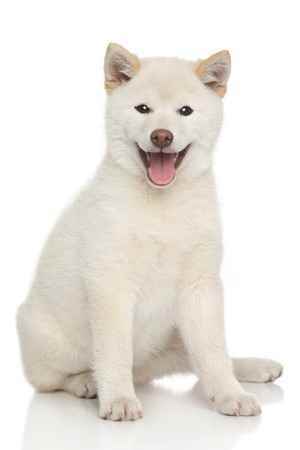 Shiba enthusiasts might tolerate the spitz-spit on them, but those less devoted to the breed’s nuances will not. It’s best to teach them early on not to do this, or at least, have a command for them to stop. These dogs are considered to be moderately sensitive. They are very perceptive to how they are treated, although they remain independent altogether. They definitely won't let you slide on anything you say, so it’s important to make your yes’s mean yes and your no’s mean no. A Shiba may take advantage of any faltering decision by their owners. It’s important to make sure that these dogs become too spoiled as well, as it will only exaggerate this behavior. Fighting? No, these puppies are just playing. The Shiba Inu’s story begins in Japan, where today, it is among the most popular breeds in the country. The breed’s name literally translating to “small brushwood”, referring to a plant whose colors bear a similarity to that of the breed. This breed is among the six Spitz breeds originating in Japan and known for being the smallest. 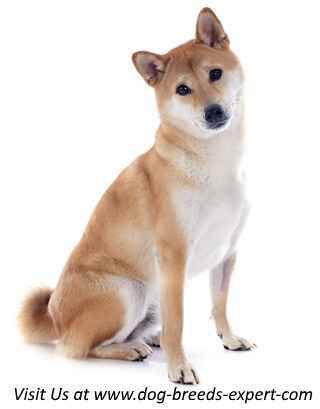 The Shiba Inu is an ancient breed, having had been designated as a basal breed. 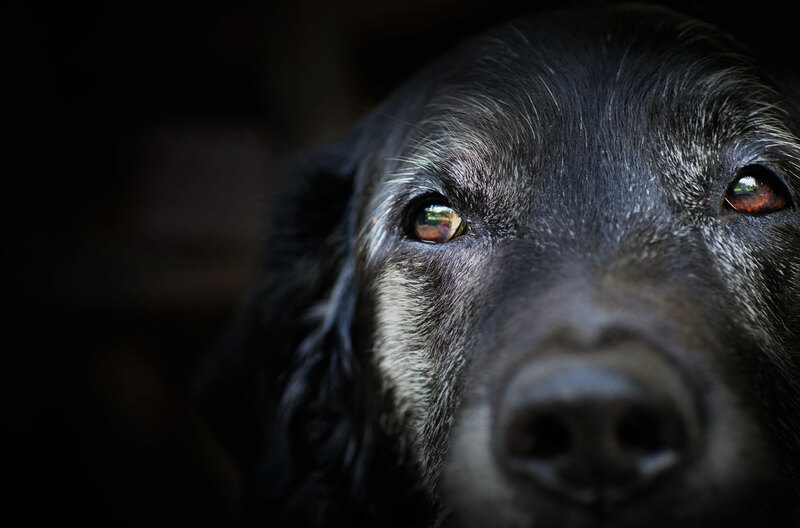 Basal breeds are considered to have been genetically diverse once, but as time passed general breeding programs continued to produce more dogs that have lost most of their distinction. In Japan, they were used primarily as hunting dogs as well as companions. These dogs would spring small game from the same brushes for which they are named. These dogs remained untouched for the majority of their history, building a healthy population in Japan. It wasn't until World War 2 that they were threatened with near extinction. 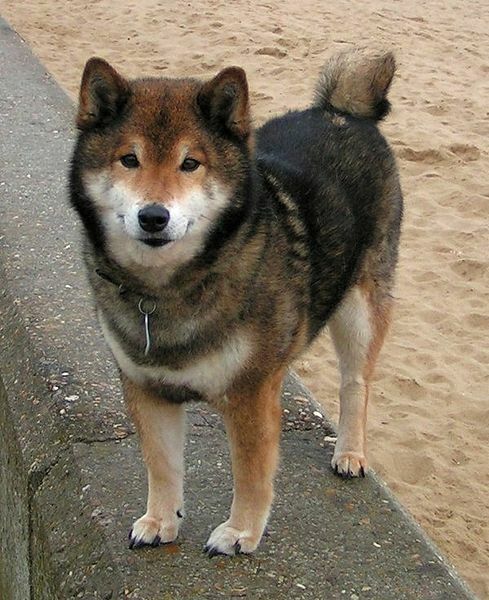 Due to the extensive bombing of Japan, many Shibas did not survive the conflict. Those that did were soon threatened once again by disease. A large epidemic of distemper nearly finished the breed off. The few remaining members were crossbred to increase their numbers. 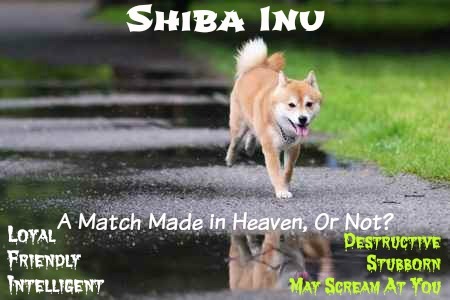 The result of this crossbreeding is believed to have created 3 bloodlines for the Shiba Inu: Mino, Shin Shu, and San In. Each bloodline has particular physical characteristics that differ accordingly. The breed remained isolated in Japan for a while after the war. The breed gained its own breed club in Japan in 1948. While slowly rebuilding their lost population, they rebuilt their popularity. These dogs became companions rather than hunting dogs. In Japan, the Shiba Inu has regained its lost fame, now considered to be the 4th most popular dog in the country. Elsewhere, the breed remains relatively rare. But in the U.S., they have gained in popularity. According to the AKC, the breed is currently the 46th most popular in the US. This is despite the breed’s recognition by the AKC in just 1992. Too cute, but are they the right breed for you? The Shiba Inu is notorious for being a difficult breed to train. Their independent personalities however, make them approach training as an option. They learn quickly once their attention has been gained, although they will always do what they feel like doing. Expect a struggle at first. Puppies like to nip fingers, jump up, chase and dig. Housebreaking them is a bit more difficult due to their size, although they will typically fairly well behave. Some owners recommend hiring a personal obedience trainer, as they most likely would not cope well with the group of unfamiliar dogs. However, socialization is a must with this breed, so it’s best to take them on walks and expose them to the various sights, sounds and smells in their environment. Altogether, these dogs are not ideal for group settings. They are known to have white markings as well, with no other markings recognized for the breed. The Shiba Inu doesn't present much difficulty in the grooming department. The breed has a fluffy double coat, typical of other Spitz-type dogs, that doesn't tend to carry a bad odor. Many owners recommending brushing at least once a week. Since the breed is not very odorous or dirty, they don't need to be bathed very frequently. Over-bathing can dry out their skin, so many owners recommend washing about every 3 months. While their coats do not require vigorous brushing, their teeth do. Providing a dog with the proper dental care is just as important as a regular vet visit. By brushing a dog’s teeth regularly, you prevent bad breath as well as plaque and tartar buildup. It’s recommended that this dog has its teeth cleaned 2-3 times a week. It is important that their nails be clipped short on a regular basis. If a dog’s nails get to be too long, they may get to be uncomfortable and painful. Owners will typically cut their Shiba’s nails at least once a month. A good way to tell when a dog’s nails are too long is by listening for their nails clicking against the ground as they move. A dog’s ears need to be checked and cleaned regularly as well. The Shiba Inu has ears that point up, however, so they have more airflow. This keeps them from effectively trapping bacteria and dirt inside their ears, decreasing their chance of ear infection. Owners will still check and clean their Shiba’s ears at least once a week. Regarding security, Shibas have their ups and downs. Physically, the breed is known for being the smallest of the Spitz breeds from Japan. This is not really something you want out of a guard dog, not that any dog should be purposefully put in the line of fire. In emergencies, the Shiba would at most serve as a barking barrier between its owner and an intruder. While the breed is not very physically capable, it’s up for the job. The dog’s naturally dislike towards strangers makes it ideal for protecting its owners. 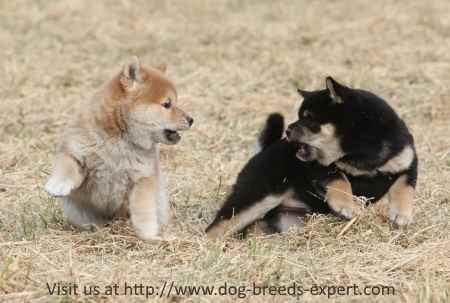 The Shiba Inu is also a vocal breed. While it can't stop an intruder, it can quickly alert its owner to one’s presence. Dogs, like people, can get injured and become sick. If you are considering getting a dog, you have to be capable of providing it with excellent healthcare and medicine. Some breeds are more prone to specific health conditions than others, which must be taken into account when getting a purebred dog. While it is not a very popular breed elsewhere, the Shiba is among the most popular dogs in Japan. It is crucial that these dogs are purchased from a reputable breeder that knows a lot about the breed. Good breeders should be able to pass health checks for their dogs. 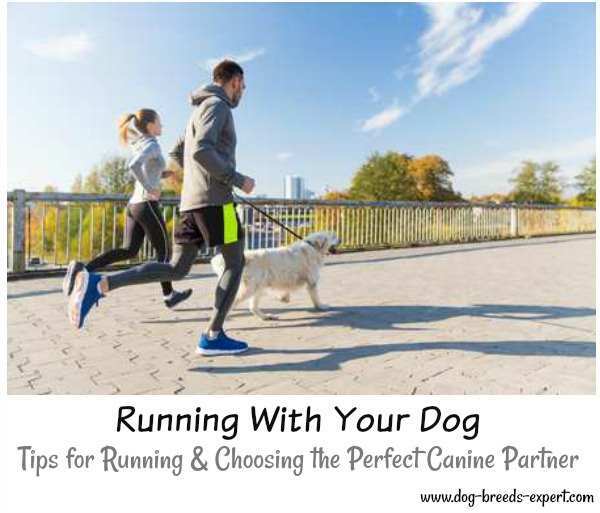 We recommend the books below to help you decide if this is the breed for you!